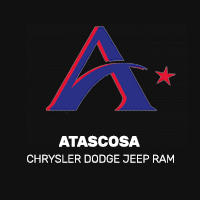 If you’re in the market for a powerful new pickup in the Floresville area, we have what you need at Allways Atascosa Chrysler Dodge Jeep Ram! Explore our inventory of used RAM 2500 Tradesman vehicles to find the perfect truck for you. These are a great choice for those who don’t want to purchase new, but still want a durable and reliable vehicle. Once you find your perfect truck, head on down to our dealership in Pleasanton for a test drive or simply contact us online to set up an appointment!